When I was in high school, and even through college, Queensrÿche was my favorite band on the planet. 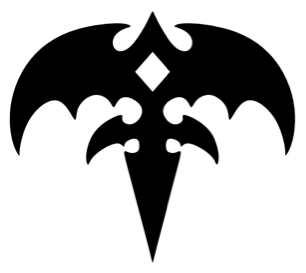 I listened to the albums Rage for Order, Operation Mindcrime, and Empire so much that it was ridiculous, and saw them in concert at least 3 times. This lasted through the 1997 release of Hear in the Now Frontier, which was not great, but still had a few songs worth listening to. I tried listening to some of their stuff from the late 90s through the 2000s, but found most of it to be terrible. Well, fast forward to today….there are now TWO bands recording and touring under the name Queensrÿche. One with the original lead singer, Geoff Tate, and no other original member. The other with original members Michael Wilton (Guitar), Scott Rockenfield (Drums), and Eddie Jackson (Bass), along with Todd LaTorre (Lead Vocals) and Parker Lundgren (Guitar). The new songs coming out of the Geoff Tate version are the same old mess that was typical of Queensrÿche from the late 90s and 2000s. However, the song above is the first single, “Redemption,” from the other version of Queensrÿche, with Todd LaTorre on vocals. I must say that I’m really, really digging this song. As a matter of fact I think that Todd LaTorre sounds more like Geoff Tate used to sound than Geoff Tate does today. Also, this song is much closer to classic Queensrÿche than anything that was released after Empire in 1990. Definitely worth a listen….I have been wearing out the YouTube version since they have not officially released the song for purchase. Thanks to Chris Miller for originally pointing me to this new single. This is AWESOME! Billy Joel is one of my top 5 favorite musicians / entertainers on the planet (if not my #1 favorite!). I have been to see him in concert 4 times in 3 different cities, and Olivia and I had two of his songs in our wedding back in 1997. “I was wondering if I could play it with you. I would accompany you, that is,” he said. After this, Joel invited him up to play, and the kid absolutely Nailed It, even getting some major props from Billy at the end. Really cool to watch. Pollack later discussed the moment in an interview with InsideVandy.com. Pay attention for a little Sinatra imitation by Joel during the song.